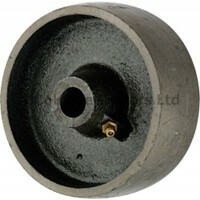 Castor wheels work best if they are used for their specific and intended application. 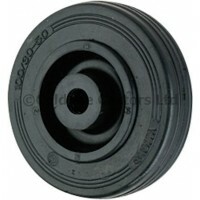 Bearing Shop UK offers a variety of castor wheels. 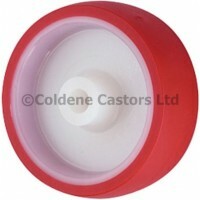 Whether for office, home or industrial use, our castor wheels are guaranteed to suit your everyday applications. 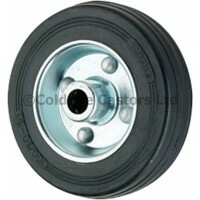 We provide castor wheels that are made out of nylon which are impact resistant, black rubber tyre and black rubber steel centred wheels that won’t damage compact floors, cast iron wheels for heavy duty moving and aluminium or nylon centred polyurethane that provides a perfect grip for smooth floor surfaces. Available in sizes 100mm, 125mm, 150mm, 200mm our nylon castor wheels have a load rating of 200kg, 300kg, 500kg and 550kg. Prices range from between £4.80 and £12.65. 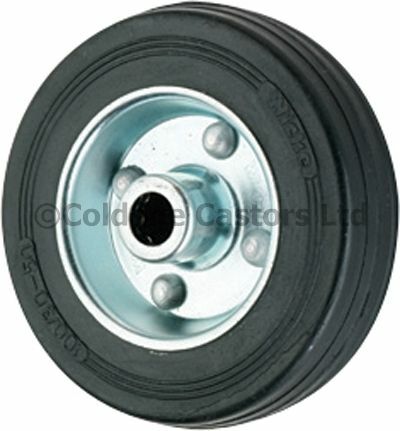 Our black rubber and steel centred rubber castor wheels come in sizes of 80mm, 100mm, 125mm, 160mm, 200mm, 250mm and have a load rating of 50kg, 70kg, 100kg, 135kg, 205kg and 250kgs. Prices range from £6.89 to £11.46 each. 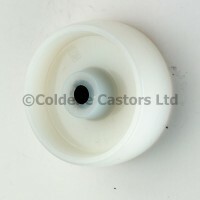 The nylon centred polyurethane castor wheels come in the sizes of 100mm, 125mm, 150mm and 200mm, with load ratings of 150kg, 200kgs, 300kg and 500kg. Prices range from between £6.23 and £17.23. 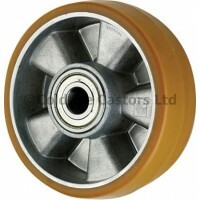 The aluminium centred polyurethane castor wheels come in 100mm and 125mm and have a load rating of 450kg and 500kg. Prices range from £15.20 to £17.05 each. Bearing Shop UK also offers cast iron castor wheels in sizes 100mm, 125mm, 150mm and 200mm, with load ratings of 260kg, 350kg, 910kg and 1000kg. Prices start from £10.36 to £37.06 each. Click the link for a complete list of our castor wheels. Alternatively, you may reach us on 08000 096 098. Our hotlines are open during working hours.